Fr. 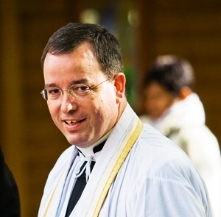 Loic Duverger gave a comprehensive interview to columnist Brian McCall of The Remnant newspaper about the extent of the SSPX's missionary work on the African continent. This article will be published in the forthcoming issue of The Remnant, who we thank for kindly allowing us to publish in advance on our website. Our special thanks also to Mr. McCall for granting the Society of St. Pius X the opportunity to speak at such length about its apostolic work. In September 2010, Pope Benedict XVI established a Pontifical Council for the New Evangelization. As the auto-demolition of the Church continues and the Church bleeds members from all sides, even the Vatican recognizes something must be done. A New Evangelization has been called for repeatedly by John Paul II and Benedict XVI. Yet, the ever “new” methods embraced by Vatican II and its apologists never seem to produce the hoped for results. So yet another new-fangled gimmick must be tried. Meanwhile conversions dwindle to a trickle and abandonment of the Faith increases to a tsunami. 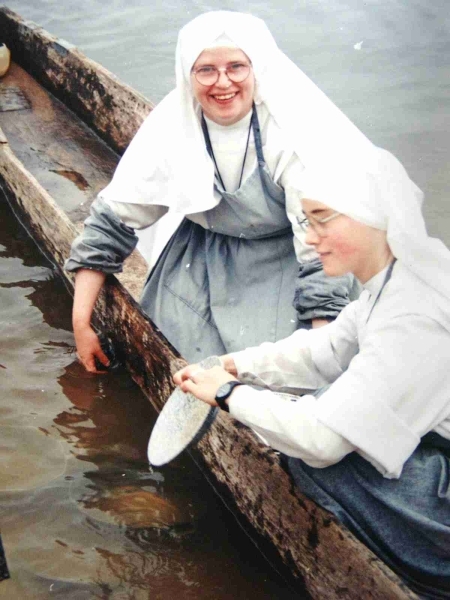 In the “old” days, the New Evangelization was simply called missionary work, the missionary work commissioned by Our Lord when he sent His Church to “teach all nations.” That “old” Evangelization converted continents and built civilizations. My instinct told me we are not likely to find much advice on restoring that missionary zeal from a Vatican bureaucracy conducting studies and writing papers on how to jump start a “new” evangelization based on the “new” (now tired) ideas of Vatican II. So I decided to talk to someone out in the trenches living the “old” evangelization, the one that worked for two thousand years. I, therefore, contacted Fr. Loïc Duverger, superior of the African district of the Society of St. Pius X.
Archbishop Lefebvre with Bishop Francois Ndong (+1989), the first native Gabonese bishop. 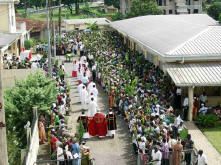 The Archbishop consecrated him in 1961 an auxiliary bishop for the diocese of Libreville, Gabon; later he became the ordinary of the Oyem diocese. Bishop Ndong stated he saw in Archbishop Lefebvre "the model priest" and his friendship and devotion to him never ceased. In 1986 he pleaded with his mentor: "Send us priests, we need holy priests. Here in Gabon, there aren't any." 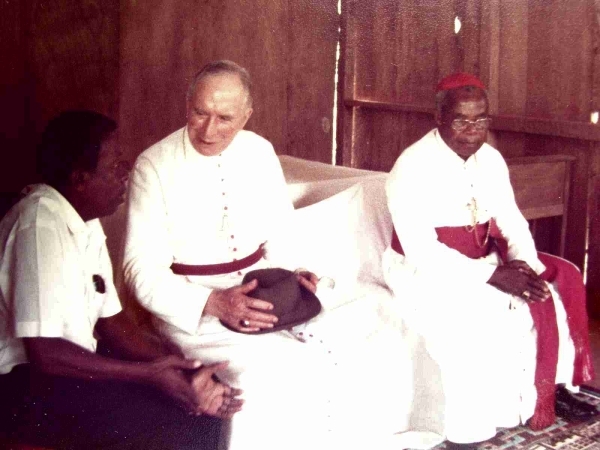 Although the name of Archbishop Lefebvre is today mostly associated with the crisis of the Council and his defense of Tradition, the Archbishop spent thirty years before this tumultuous Council toiling in the missionary vineyard of Africa. This interview was conducted over the month of March and thus transpired over the twentieth anniversary of the death of Archbishop Lefebvre (March 25, 1991). It is clear that Archbishop Lefebvre’s love for saving souls and for the African missions is alive and thriving in his successor in Africa, Fr. Loic Duverger. Father’s wisdom, hope, and sanctity shine clearly through this interview and provide a clear argument for the restoration of the “old” evangelization and its fruitful harvest. Perhaps the Holy Fr. should consider establishing a Pontifical Council for the Old Evangelization. If so, Fr. Loic Duverger, should be appointed its head. Q. Thank you, Father, for agreeing to this interview. I am certain you are very busy with your Apostolate. I appreciate the significant time you have devoted to answering my questions. When were the Society’s activities in Africa begun? Who initiated the work? Was it Archbishop Lefebvre himself? A. The apostolate of the Society began in the early 1980s, when Archbishop Lefebvre came to South Africa to encourage the faithful who were resisting the crisis in the Church. But it was only in 1985 that the first priory was opened in Roodeport near Johannesburg in South Africa. Then in 1986 we opened priories in Zimbabwe and Gabon—for which we are celebrating the 25th anniversary this year. 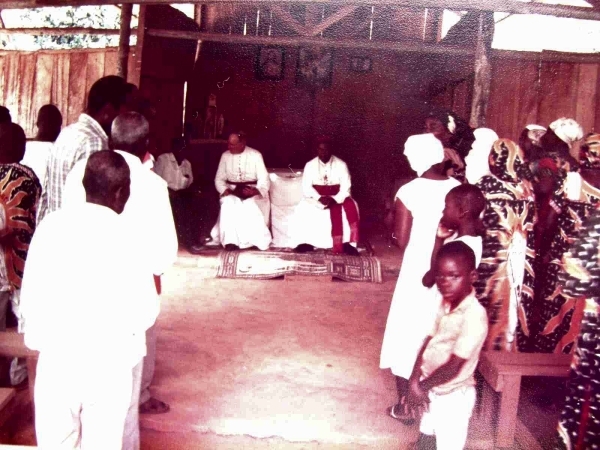 Archbishop Lefebvre followed these foundations closely, but he paid special attention to the mission in Gabon—the place where he himself began his missionary life in 1932. He made an important journey there in 1985 to prepare the foundation of the mission. On that occasion he met with the head of state, President Omar Bongo, several bishops and key figures of the country, his former students from the seminary and from the missions of Donguila, Kango and Lambarene. Through his letters to Fr. Patrick Groche, founder of the St. Pius X mission, he generously gave much advice as a former missionary and demonstrated the care with which he followed the development of this priory. He returned there one year before his death and was very happy to see the magnificent development of this beautiful work. Q. How many priests do you currently have in the district in Africa? A. Today 21 priests, 4 brothers, 5 sisters, and 2 oblates exercise their apostolates in the 8 houses the Society possesses in Africa. Q. How many priories (permanent houses with a community of priests living a common religious life) or other religious houses have been established in Africa and in which countries are they located? A. In South Africa we have 3 houses (2 priories and a district house) which serve 7 chapels. 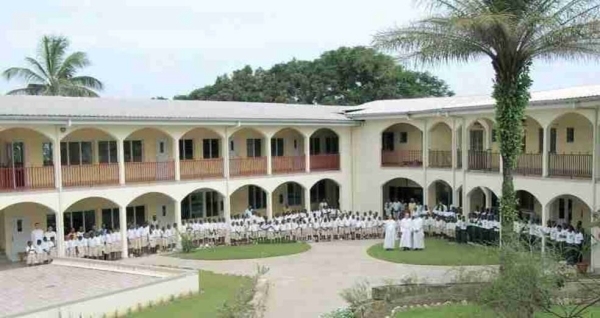 In Gabon we possess one priory and one school. Kenya is rich with a priory and, very recently, a novitiate of religious destined for the missions, the Missionary Sisters of Jesus and Mary. Zimbabwe is the fourth country in which we have a priory. However, our priests are not content with these countries. They are spreading out elsewhere where the faithful call them asking for the true Mass and the true Sacraments. Through missionary travels that are more or less long and frequent, they support groups of the faithful in Nigeria, Uganda, Zambia, Namibia, Cameroon, Tanzania, Burundi, and Ghana, as well as in the islands of Madagascar, Reunion, and Maurice. Between those where we are based and those where we visit, in total the Society is present in fifteen countries in Africa. Nigeria and Uganda are the two countries where we regularly visit which are the most developed. In Nigeria, Fr. Obih, a priest who was formerly an Augustinian religious, joined the Society a few years ago. He is preparing to come to the Society here and will criss-cross the most populated countries of Africa (150 million inhabitants). In Uganda, one of the faithful who had been calling the Society for a long time has built a chapel in her home and brought together Catholics who want to preserve and strengthen their faith through prayer and good sacraments. 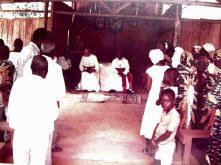 Our confreres in Kenya come there every month to celebrate the Mass. Our confreres understand this well and do everything in their power to respect this golden rule of apostolic effectiveness that is life in community. But we must also respond to the needs of the faithful, hence the necessity of going to the missions—never for too long—then coming back again to the priory so as to recharge our physical and spiritual strength. The ideal would be that the missions would be able to support several [priests], so as to nurture the community life. For the moment, that is not possible. Q. What is the nature of the Society’s relations with the governments of the countries in which it operates in Africa? Are they friendly or hostile? A. Wherever we come into Africa, we try very hard to establish good relations with the civil authorities―first in respecting the administrative steps necessary for us to settle in and then in turning to our work of the sanctification of the faithful. If they have had any fears, the civil authorities rapidly perceive that our actions are peaceful and beneficial. In Africa, as opposed to Europe, reality often overrides ideology. The true priest, in cassock, is respected. He rarely encounters hostility. He often engages in conversations on religious subjects in the offices of the administration. For example, this last Christmas, I accompanied a priest from the school at Libreville to the mayor’s office to ask that the police take charge of keeping order in the street which leads to the school. The deputy mayor was absent, so we discussed it with the secretaries and the conversation was concluded. Then the secretaries, remembering the Christmases of their childhood, started to sing at the top of their lungs, bringing together little by little the other secretaries on the floor. Another time, at the end of a meeting held near the person responsible for the lots of the town in South Africa, the official asked for the blessing of the priest and the recitation of a prayer. So I gave the blessing and we recited the Pater Noster in his office. In several countries, there remain difficulties in obtaining authorization for long term visas. These are long, very long bureaucratic processes which have the impressive ability to teach patience, kindness, courtesy, and, in a word, “self-control.” As we say here: it is not unusual to find that after long hours waiting, the person behind the counter returns to tell you that he lacks a paper, or that your dossier is lost, or that closing time has arrived. This is not hostility toward us—everyone goes through the same procedure. That is how it is. That is Africa: the good school of patience! Q. What about the diocesan bishops? Do you find them as hostile to the Society as in Europe (in France, for example)? A. The relations with the dioceses are very much dependent on the bishop. We have neither very frequent nor very close relations, but on certain occasions we have been able to observe much goodwill from them. For example, the bishop of Johannesburg permitted us to venerate the remarkable relics of St. Theresa of the Child Jesus at the Priory of Roodesport. This made for a beautiful day of celebration, a source of grace, at of the beginning the priests’ retreat in October 2010. The bishop of Nairobi, Kenya gave his written agreement for the installation of the Society in the country—an authorization that is indispensable towards obtaining an agreement with the government to open priories. Of further note is the always amiable reception by the bishop of Oyem, Gabon. When we made a stopover at his place while going to Cameroon, he invited us to eat with him. The last time we were there we ate lunch with the priests of the diocese who had come for a work session. The better bishops and priests see well that we do serious work; that we are fully Catholic. Of course, most do not understand our attitude, do not know the true reasons for our resistance and our combat. They are often very modern and filled with the false ideas spread throughout the Church today, but rarely do we encounter open hostility. Q. Do you have any general observations on the state of the Church in Africa at this time? 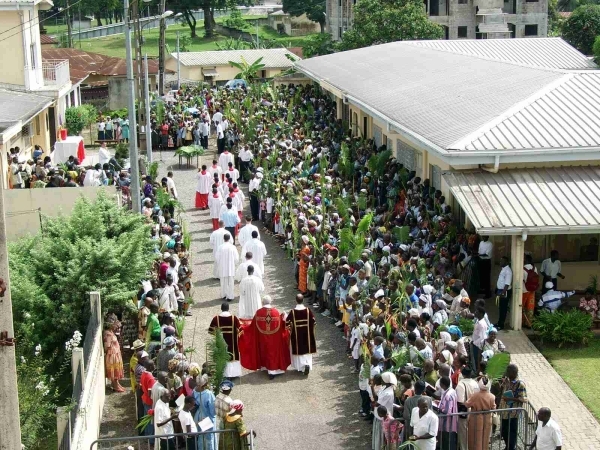 In fact, it seems that in certain countries the conciliar reforms were put in place slowly— such as in Nigeria where Communion in the hand was not permitted until 2008. The seminaries appear to be full, but who knows what kind of formation their future priests are receiving? A conciliar formation with its teaching of all the errors that we are fighting? I very much fear that tomorrow, the same causes will produce the same effects. As has happened in Europe, the modernism taught by the badly formed priests will drain the churches in Africa. One can make the observation that the younger generations formed in this modernist doctrine and perverted by materialism will lose their sense of God little by little, desert the churches, and give in to all the vices and artificial paradises that modern society proposes. Q. Is the Society’s work in Africa primarily bringing the Traditional Faith and Sacraments to Catholics or missionary activity to non-Catholics? A. Our work is multifaceted. It is addressed primarily to the Catholics who have appealed to us, then, naturally, the souls coming to us. In Kenya, one of the catechumens is the caretaker hired by the Fathers to look after the mission, another arrived one day at the church and asked to be baptized immediately, a third was brought by a friend.... The Lord’s ways are many. In Gabon, we administered nearly 6,000 baptisms over 25 years—from little newborn babies to an old man on his deathbed in his plank board house. He was an animist, then a Muslim. Several weeks before his death, he had the grace to meet one of the faithful of the mission and then after a few short catechetical lessons, the priest baptized him and prepared him to die a Christian. It is without doubt one of the great consolations of a missionary to see how the Good Lord attracts souls of good will, leads them little by little along the road to salvation, and permits them to encounter a priest who goes on to conduct them to the doors of the Church and make them become children of God through baptism. But it is also an occasion of great suffering to see certain ones who, after having traversed so many difficulties and going over so many obstacles so as to be regenerated by the waters of baptism, later are taken by passions and temptations and who then incrementally abandon the Christian life that they had begun with such great enthusiasm. Q. What are the biggest challenges facing the Society’s work in Africa? The “challenge” is laid before us. We must fight and give ourselves entirely to our task so as to conquer this continent for Our Savior. Jesus Christ must reign in the hearts of Africans. He must reign in society. This is the condition for peace and prosperity. For those who follow the news of this immense continent, it is frightening to see how war and revolution reign almost everywhere; how the moral corruption of the elite destroy the economic life; how the most destitute suffer as victims of this disorder. If the governments submitted to Our Savior and respected His commandments, these magnificent countries which are overflowing with riches, would become veritable havens of peace and wellbeing. One could give way to despair—wanting to change the world, to convert all these people. Is it not a ridiculous illusion, an insane idealism? Is it not better to be content with our chapels, our priories, our several thousands of faithful? Such an attitude is not Catholic. If the Apostles had held to such reasoning, St. Thomas would never have gone deeply into India, and today we would not be baptized! We have the grace of God which is all powerful and able to make sons of Israel out of rocks. Even more so is it able to do such with men deceived by false religions. We know our limits and that of ourselves we can do nothing. But greater numbers of priests increase the good that is accomplished. It is in this way that the intuition of our venerable founder is so brilliant: to lead the crowds to Jesus Christ, there must be priests who are sanctified by the Mass of all time and always more of these priests from the four corners of the earth. Think of all the young men who will read this! To be precise, the “challenge” of the Society of St. Pius X in Africa is to form priests, to search for vocations, to make them grow, and to lead these young men to the priesthood, to encourage an increasingly growing number of priests to join us in this crusade for the triumph of Our Lord, and to support those few rare priests who remain faithful to the Mass of All Times. Q. You mention vocations. Are the fruits of your priests’ efforts bearing the fruit of new vocations from the native population? Q. What could Remnant readers do to help support your work in Africa? A. First, I thank you for the honor you have given me in permitting me to present the Priestly Society of St. Pius X in Africa to your newspaper and I thank the readers of The Remnant for the attention they have given to our interview. Next, I would like to say that I know that they are already assailed by requests from all the other works they support and by the fight for the triumph of the Catholic Church in their own countries. I have a simple request—that they in charity not forget the regions of the world that are more neglected and more miserable and to pray for the priests who work there to spread the reign of Our Lord Jesus Christ, the only principle of peace. In addition, if they are able to help us materially through their alms and gifts, that would be wonderful. which testifies to the severe inflation rate and poverty in this country. The project that is our heart’s desire is the construction of a pre-seminary which could also serve as a novitiate for the brothers. We have 16 acres of land outside of Libreville that is mostly cleared. The roads have been laid out, a well has been dug, and electrical lines have been brought in. We only lack $700,000, an amount which would permit the construction of the house of formation for about twenty young men. If St. Joseph could find us this amount through the hands of some benefactors, that would be marvelous! Be that as it may, we express our gratitude to all who are able to bring their little brick to this project. We pray a Rosary everyday for their intentions. The Good Lord alone will know and repay them a hundredfold. Thank you for your generosity and God bless. Contributions to the SSPX are tax deductible and are recognized as such under the IRS Code. The faithful congregating at the SSPX's priory in Zimbabwe. The prior, Fr. Nicolas Bely, is on the left. 1 Archbishop Lefebvre was the originator of the great encyclical of Pope Pius XII, Fidei Donum (April 21, 1957), calling the priests of old Christianity to come spend several years in Africa so as to help in person with the magnificent development of this young Christianity. From 1957 to 1981 nearly 950 French priests responded to the appeal of the encyclical.